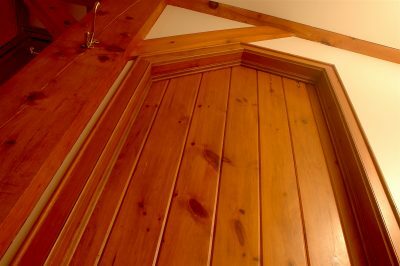 Q: What should I think of a contractor who wants to fasten 8” wide Douglas fir exterior window trim using stainless steel screws? Not the nicest look in my opinion. He also wants to do the same thing with interior trim. What’s the best way to install trim? A: The idea of using screws to attach high-end wood trim is barbaric. I see way too much of this kind of tasteless nonsense done by contractors who don’t seem to understand the basics of beauty. My own preference is to minimize the appearance of fasteners, or completely eliminate visible fasteners altogether. The best approach I know of involves using stainless steel 23-gauge pins to secure trim that has some glue applied to the back face. This works indoors and outside. 23-gauge pins are so small in diameter that they pretty much disappear after installation. They have no head, but they hold trim surprisingly well. For exterior trim, use a high-end construction adhesive on the back face of the trim (PL Premium is my favourite by far), with pins used to hold the pieces in place. 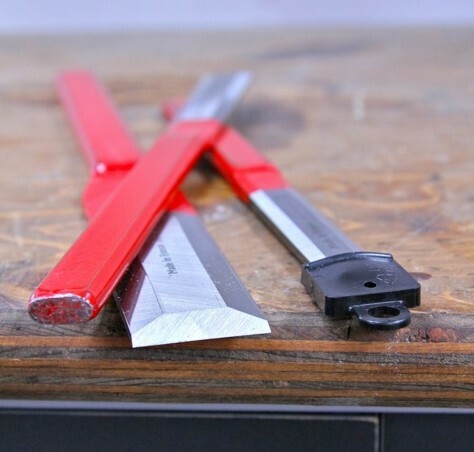 The very best approach involves joining the trim into complete frames using pocket screws at the corners ahead of time, then install these four-sided frames over the windows. It’s faster than piece-by-piece trim installation and the joints never open up over time. Over the years I’ve developed an unusual method for installing trim. It’s faster than putting it up piece by piece, and the joints are always 100% tight, flat and perfect. This method is also perfect for dealing with that annoying hassle of having drywall extend beyond the edges of door and window jambs. Click below to watch a video tutorial on my methods.